I’ve just come across a sweet new tool that I know some of you will find use for. It’s called ListHD.com, and basically it’s the new, easy way to create attractive, HTML craigslist posts – complete with galleries of HD images. Imagine the attention your posts could get if they looked like this: (Click the picture to see the full-size sample.) They give you a few other formats to choose from too. 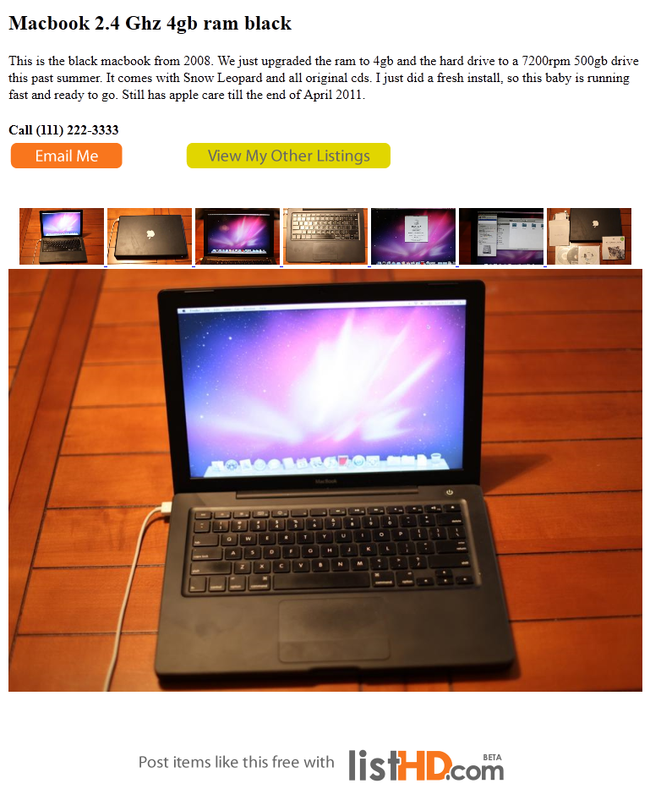 Honestly, I don’t see any reason not to use this when posting on craigslist. Anything that makes your ad stand out will help it sell, right? Plus it’s super easy, and free. Click here if you want to learn more, or to give it a try! Hope you like it. Have you integrated SearchTempest to be able to search this ListHD.com ads? ListHD is for posting fancy ads on craigslist, so SearchTempest will naturally search them along with all the other craigslist ads.